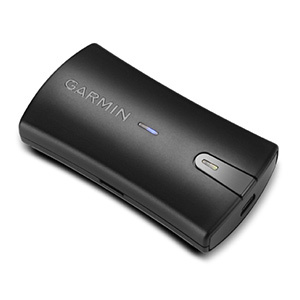 Navigate with Garmin-caliber GPS data on the mobile device of your choice. GLO brings you the best of both worlds by combining GPS/GLONASS receivers with Bluetooth® technology so you can enjoy precise position information on your iPad, iPhone or Android device. GLO can receive position information from both the GPS and GLONASS satellite constellations, allowing it to connect to up to 24 more satellites than devices that rely on GPS alone. This allows GLO to lock on to satellites approximately 20% faster and remain connected even at high speed. What’s more, GLO updates its position information at 10x per second – that’s up to 10x more often than the GPS receivers in many mobile devices. Using Bluetooth technology, GLO wirelessly pairs to your mobile device. Just set GLO within range of your mobile device and in moments you’ll be receiving GLO’s position data. The device features up to 12 hours of battery life to keep your position on even the longest trips, and charging GLO between uses is a cinch with the included USB cable or and optional 12/24 Volt cigarette lighter adapter. Garmin’s optional friction mount keeps the receiver safe on your dash and in full view of satellites.